In early October, the situation in the camps suddenly changed. Sisir was told that the hospital was to be shut down at once and all the patients were to be discharged. This had a dramatic impact on the mohajers. ‘The Armenian women began to weep,’ writes Sisir. 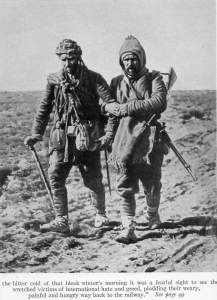 ‘For so long they had been sheltered by the Germans – it was like being in the shelter of a mountain; the Turks couldn’t do anything to them. Now they were afraid that as soon as the Germans left they would be slaughtered; this time even the women wouldn’t be spared. [i] It isn’t clear whether Sisir wrote this episode from memory or had notes to rely on. Chronologically, the episode occurred after the resumption of his journal. But in the book he tells the story out of chronological sequence. Sisir Sarbadhikari was not the only Indian in the Ras al-‘Ain camp for long: it soon began to fill up with British, Russian and Indian POWs including many other members of the Bengal Ambulance Corps, his friend Bhola among them (p.172). As the months went by the prisoners learnt that there had been a revolution in Russia; that Istanbul had been rocked by unrest; and that British and Indian troops were making rapid advances in Palestine and Mesopotamia. But it still came as a surprise to Sisir and his friends when they discovered that the Armenians were planning an escape: it was Ilyas who revealed this to them. ‘Ilyas looked on Bhola and me like older brothers,’ writes Sisir, ‘and we too loved him like a younger brother. In 1918, towards the end of August or the beginning of September, when the Turks were in a much-weakened state, Ilyas came to us one night. ‘… For a few days [the Armenian mohajers] had been conferring in secret on matters such as how best they might escape to places that were now under Russian or British control. It seemed that they had not included Yakob in all this, perhaps because those who were planning to escape (p.177) were all residents of Erzurum and its surrounding areas. Yakob’s home was much further south. ‘Now their destination had been decided on – where it was Ilyas did not yet know. They would flee that night, horses had been arranged. He had come to take his leave of us. Whatever warm clothing we had between us we gathered together and gave to Ilyas – the poor fellow had hardly any clothes. ‘He held me tight! None of us could say a word; nor was there any need for anything to be said. [i] Chronologically speaking Sisir was once again able to rely on his journal from this point on for his notes resume from April 1918 (the gap dates back to April the year before). [ii] The word that Sisir uses to describe these killings is worthy of note. Earlier, when writing about the killings of Armenians he generally uses the word kâtâ : literally ‘to cut’ or slaughter. But here he uses the word hatyakanda, literally ‘killing-deed’, signifying mass killings.The word ‘genocide’ had not of course yet been invented, nor its Bengali counterpart. [iii] The poem is ‘Hatobhagyer gaan’, written in 1899 (1305 by the Bengali reckoning); it is included in Tagore’s Gitobitan. I am grateful to my sister Dr Chaitali Basu and Dr. Swachhatoya Bannerjee for tracing the poem. 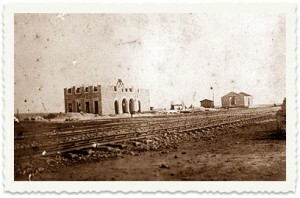 On returning to the vicinity of Ras al-‘Ain, Sisir found many changes. The railway line had been extended in the months that he had been away, and the Indian camps had advanced with it. The construction of the lines was being overseen by Germans, and they had taken charge of many of the area’s camps and hospitals. ‘I was given a small tent to live in and the big tents of the mohajer women were close by. There was no one to speak Hindi or English with, let alone Bengali – only with Meinhof [a German officer] would I exchange a few words in English. 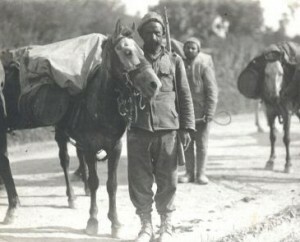 Sisir was assigned to the camp’s hospital but his duties were mainly administrative. ‘Two Armenian mohajer boys, Yakob and Ilyas, worked for me in the office,’ he writes. ‘Yakob was some twenty years old; he was from a very ordinary family, and couldn’t do anything that required reading and writing. Ilyas was from a well-off background: he was about fifteen and knew a little French; he didn’t have much to do – his job was to write down telephone messages. (p.175). 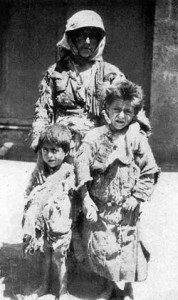 ‘[The Armenians] knew already that the men would be killed, so they realized that there was no other camp; it was a lie – they were actually being taken off to be slaughtered. There was much weeping and many tears, the women clung on to the men and would not let them go. But what could come of that? 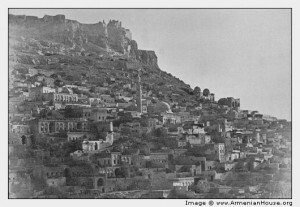 [i] Mardin once had a substantial Armenian population. The 19th century British traveler, J.S. 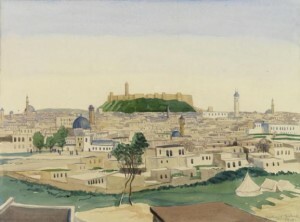 Buckingham, in describing Mardin, writes ‘The population is thought to amount to twenty thousand, of which, two-thirds at least are Mohammedans, the remainder are composed of Christians and Jews. 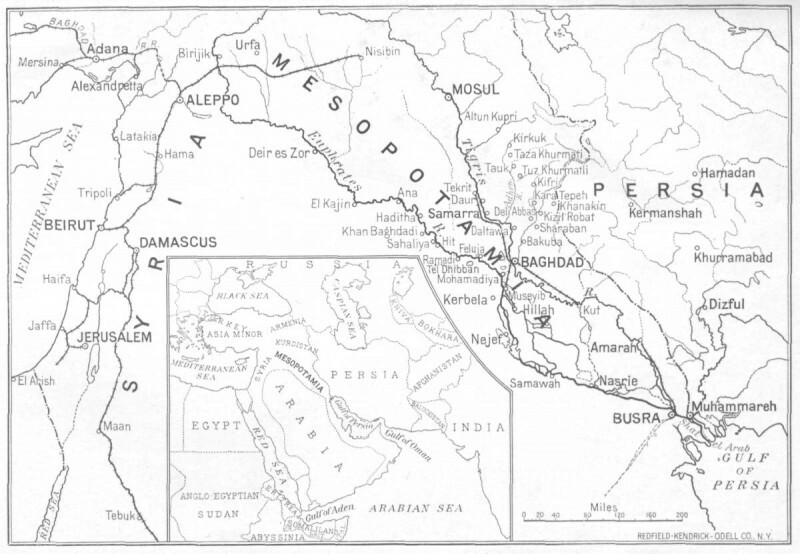 Of the Syrians, there are reckoned two thousand houses, of the Armenians five hundred, and of the Jews four hundred’, Travels in Mesopotamia, London 1827 (191-2). Shared Sorrows: Indians and Armenians in the prison camps of Ras al-‘Ain, 1916-18 – 12. ‘One thing they always said was this: What are you going to gain from this war? Why are we cutting each other’s throats? Sisir tells some touching stories about his kardeshes. For example: ‘An old Turkish soldier came to our ward to collect cigarette butts. He was bent over with age, but he happened to look up and he caught sight of a young Turk in one of the beds. 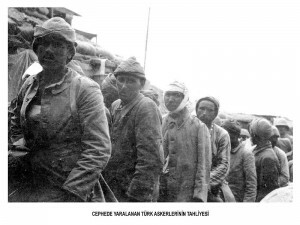 He follows this with a story that graphically illustrates the conditions of soldiering at that time: ‘There was a Turkish soldier in our ward, about thirty years of age, he had been wounded in the fighting. With him was a pretty young girl, of about five or six. Her name was Farida. She used to play with all of us. The soldier had no one at home to leave his daughter with, so he took her with him when he went to fight – he brought her to the hospital too. Shared Sorrows: Indians and Armenians in the prison camps of Ras al-‘Ain, 1916-18 – 11. Towards the end of November 1916, after he had spent a couple of weeks at the Central Hospital in Aleppo, Sisir too was struck down by the typhus. For about a month he was so sick that at times he does not know whether he was dead or alive (p. 148). But in December, he was once again the beneficiary of a stroke of good fortune: his friend Bhola was also sent to the General Hospital in Aleppo. After that Sisir’s health began to improve steadily. In Sisir’s description, the conditions at the General Hospital in Aleppo appear as a startling contrast to the situation in the camp at Ras al-‘Ain, where Indian prisoners were suffering terrible hardships. In the hospital, on the other hand, the POWs were in some ways, better off than the Turkish soldiers who being treated there. Elsewhere, he writes: ‘Today there was a pitiful sight in our ward. 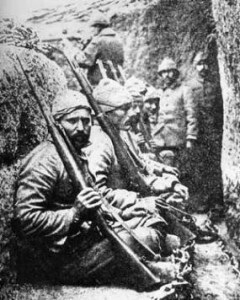 The Turkish soldiers don’t receive any pay; they are all poor; they don’t even have money for cigarettes. [ii] In this passage, as elsewhere, Sisir consistently uses the Bengali words gora for to refer to ‘white’ soldiers. He uses kalo (black) to refer to himself and other Indians. On Nov 19, Sisir left for Aleppo with some 50 seriously ill patients, on a mail train. They traveled in awful conditions: locked in a windowless compartment they had to relieve themselves in the corners. But these circumstances did not prevent Sisir from noting that the stations were pretty, with tiled roofs – ‘like stations in Europe’ (p 143). They arrived in Aleppo a day later. The city created a strong impression on Sisir: he writes: ‘Aleppo is not like the cities we have seen so far – Baghdad and Mosul. The houses are nice to look at; the roads aren’t bad. We hear that it looks like towns in Europea. The people on the streets look cultured; their clothes are nice; European costume predominates. There are people of many communities – Turks, Syrian Christians, Rums (that is Greeks) and Jews’ (p. 144). On arrival Sisir and his patients were sent to the General Hospital (or Markaz Khastakhana) where some wards had been set aside for POWs (p. 144). Sisir’s account of his stay at the hospital is surprising in many respects. 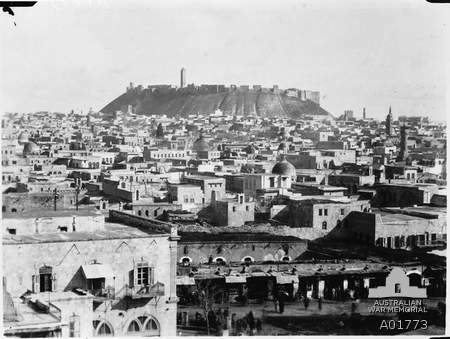 Even though thousands of Armenians were dying in the camps of Ras al-‘Ain, a short distance away, in this Aleppo hospital Armenians were still an important presence. The commanding officer, Lieutenant-Colonel Bagdasar Bey, was an Armenian and most of the doctors were Christians. Sisir writes that some were Nasranis (‘Nazarenes’) or Syrian Christians; others were Rumis (that is to say ‘Byzantines’ or Turkish Greeks). 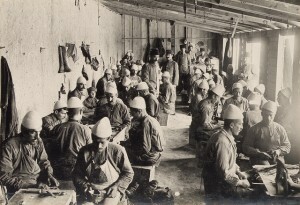 Sisir was put into a ward that was run by an Armenian doctor called Saghir Effendi – ‘a wonderful man,’ writes Sisir, ‘he takes good care of the prisoners’. But Saghir Effendi was not to remain in the hospital for long. In January 1917, he stopped coming to the hospital. Sisir writes: ‘We hear that he has been sent on to the firing line. We were saddened to learn of this. We will never forget his kindness’ (p. 151). Among the others who worked in ward, there was an Armenian woman called Marum who was especially kind – ‘How well she looked after us!’ Sisir remarks (p. 145). But this evidently did her no good in the eyes of the authorities for she was soon transferred to another ward and then dismissed altogether (p. 151-2). It is impossible not to wonder about the state of mind of the hospital’s Armenian staff at a time when so many members of their own community were being killed in nearby camps. 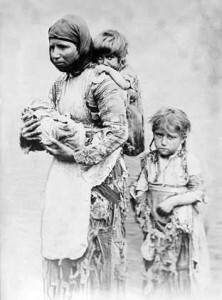 Although the situation of the Indians was completely different, the plight of the Armenians would certainly have resonated with them, since they too served an Empire in which they occupied a position of subservience. 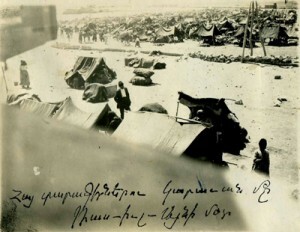 Shared Sorrows: Indians and Armenians in the prison camps of Ras al-‘Ain, 1916-18 – 8. 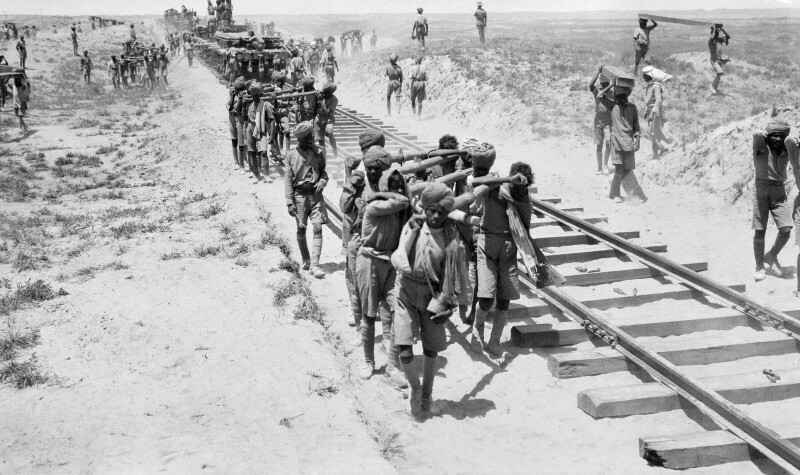 On September 7 1916, one hundred of the Indian prisoners who had marched to Ras al-‘Ain with Sisir Sarbadhikari started working on an Ottoman rail line . Over the next few weeks the camp’s medical facilities were expanded. New doctors arrived, among them some Armenians. The relations between the Indian medical staff and the Armenian doctors were not always easy. In November typhus broke out in the Indian camp. 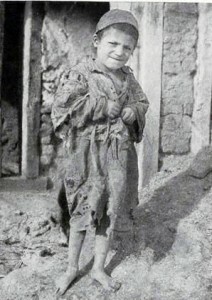 An epidemic of the disease had already ravaged many of the Armenian camps in the Ras al-‘Ain area. It now began to take a serious toll on the Indian prisoners. Several members of the Bengal Ambulance Corps went down with it, among them Sisir’s friend Bhola – the 16-year-old who had exaggerated his age to get into the corps. [i] Sisir generally uses the Arabic words Halbe or Halab for Alleppo. [ii] Santanu Das writes: ‘according to a British eye-witness account, [the Hindu prisoners were like] ‘animated skeletons hung about with filthy rags’.’ Cf. Indians at home, Mesopotamia and France, 1914-1918: towards an intimate history, in Das, Santanu (ed. ): Race, Empire and First World War Writing, CUP, 2011. 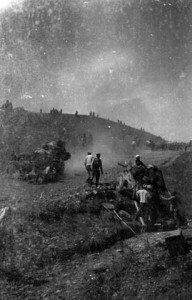 [iii] ( IWM 76/115/1 Diary of E.A.Walker, 17/7/16), quoted in Heather Jones, Imperial Captivities: Colonial Prisoners of War in Germany and the Ottoman Empire, 1914-1918, in Das, Santanu (ed. ): Race, Empire and First World War Writing, CUP, 2011. Sisir Sarbadhikari recounts another story about the deserted Armenian village that he and his fellow POWs marched through on the northwards march from Mosul: when he went to look into a well a swarm of insects flew out. He explains that he had not intended to drink from the well; it was merely out of curiosity that he had looked inside. ‘It was not at all advisable,’ he writes, ‘to drink from these wells; there were Armenian corpses rotting in many of them.’ (129-30). Over the next few days, as the prisoners marched northwards, they saw other empty, abandoned villages; a couple of them had been burnt down. After some forty days of marching they reached a town called Nisibeen[i], now on the border of Turkey and Syria. 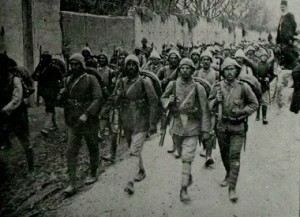 [This picture of Nusaybin is described as having been ‘taken by German military assigned to the British POW of Kut in Mesopotamia in 1916 during their march to Anatolia . Sisir would return to Nisibeen later, but his first stay there was quite brief. 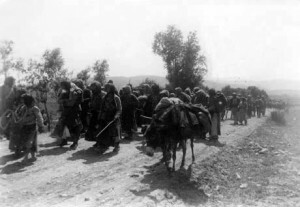 The prisoners soon continued their northward march, reaching Ras al-‘Ain on September 2. 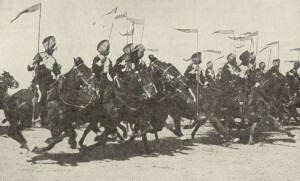 They had marched for 46 days from Samarra to Ras al-‘Ain, covering some 500 miles (133). [i] This town, now on the border of Syria and Turkey, is currently known as Nusaybin. But the 19th century traveler J.S. Buckingham refers to it as Nisibeen, and argues that it was the ancient ‘Nisibir’: ‘The first foundation of Nisibeen is of an antiquity beyond even the reach of records; since it is thought, by some learned divines, to be one of the places enumerated in the Scriptures, as built by Nimrod, “the mighty hunter before the Lord… Its name is more frequenlty written “Nesibis”, on the medals which are preserved of it. It is found to be written “Nisibis” in Greek authors, while the present pronunciation of the name, “Nisibeen”, or “Nesbin”, is said, by D’Anville, to be in conformity to Abulfeda, the Arabian geographer.’ ( Travels in Mesopotamia, London 1827, pp. 242-3). 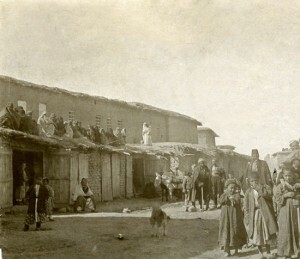 [ii] E.A.Walker, as quoted by Heather Jones describes the Indians’ accommodation at Ras al-‘Ain in the following words: ‘they had ‘no shelter; only their own blankets, bare Turkish ration to live’’ (Imperial Captivities: Colonial Prisoners of War in Germany and the Ottoman Empire, 1914-1918, in Das, Santanu (ed. ): Race, Empire and First World War Writing, CUP, 2011) . Although there is no disagreement in the two accounts, I am struck by the marked contrast in tone; here, as in other parts of the narrative, Sisir’s description is remarkably matter-of-fact, his attitude stoical. Perhaps this was because his account was written long after the events, when the raw edges of the experience had been smoothed by the passage of time. Or was it because, as a private, and an Indian, he expected less and was more accustomed to difficult conditions?